The North Texas Cactus and Succulent Society (NTCSS) was formed in February of 1974 when Harold Messmore requested in The Dallas Morning News that anyone interested in cactus and succulent plants who would like to start a club contact him. Several people responded, and our first club meetings were held at Harold’s home. 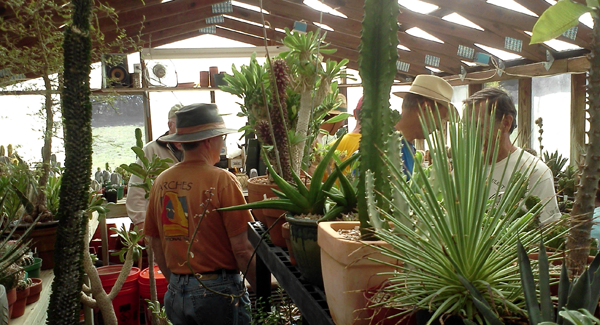 The club was formed for the purpose of promoting interest in and knowledge of succulent plants within its membership, other societies, and individuals. Harold became our first President and served in that capacity for many years. He, along with Ross and Karen Floyd, are the remaining original members of the club. The society meets each month except Jan. on the first Tuesday at 7:30 P.M. The meeting place has changed over the years from Harold’s home, to a clubhouse in Garland, to a Dallas city community center, to members’ homes. We currently meet at The Forum, a building in Richardson, TX. Visitors are always welcome. At our Dallas Cactus Meetings, we have a program on plant-related topics, a plant “show and tell” and a short business session. November is our plant swap, and each December we have a holiday dinner at a local restaurant. 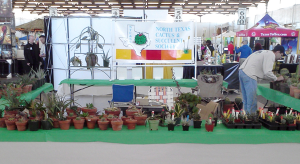 NTCSS is a member of the Texas Association of Cactus and Succulent Societies (TACSS) and is also affiliated with the Cactus and Succulent Society of America (CSSA). For many years, the society had a show and sale at Irving Mall in the spring. Now we participate in the Dallas Home & Garden Show in the spring and fall. Occasionally a field trip to plant habitats is planned, and we also enjoy visiting the collections of our members. Our annual membership dues (US$10) are based on the calendar year. If you’d like to become a member, please contact us. 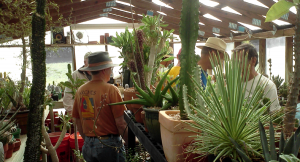 The North Texas Cactus and Succulent Society is a friendly membership club for cactus and succulent enthusiasts in the Dallas area. Please feel free to contact us or visit our monthly meetings. Copyright © 2014 NTCSS. All rights reserved.